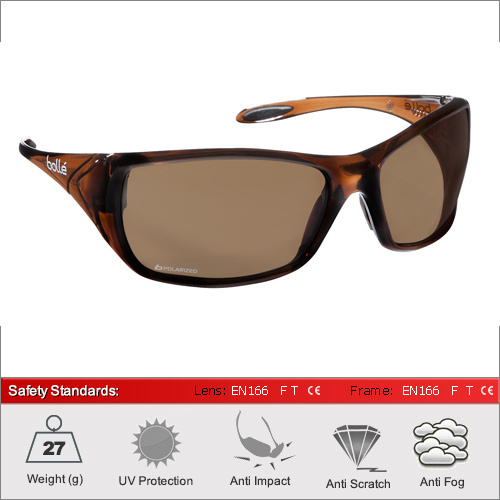 These are a premium set of safety glasses specifically design for working outdoors around water and clear days when damaging blue light is prevalent. 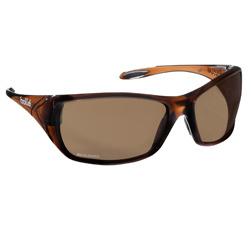 It is fairly common to see bolle take a style that is popular in its sports glasses and then engineer them into a strong version for safety. This style was first brought about in the surf community and since then had now been made into a strong FT lens and frame. The design of the frame automatically gives sidewall protection. This came from the style rather than the manufacturers going out and adding it as a safety feature but it is nice to have nonetheless! We only stock these in polarised lenses which are significatly better than the normal dark lenses since they refract light in a different way, hence the much higher price point. 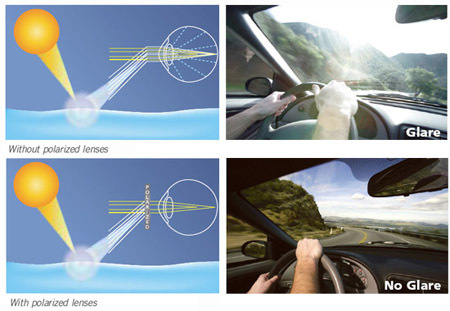 The lenses contain specially aligned crystals which block horizontally polarized light. Acting just like a window blind to allow light through at one angle but not another. These properties make them idea for working on water, and other reflective surfaces. Polarised lenses maintain a 100% UV filter and also block 90% of reflected directional light in additional to 22% of Infrared radiation. Many people regard these as the best lens for overall use in various conditions.